The Bunsen-Roscoe law (BRL) of reciprocity states that a certain biological effect is directly proportional to the total energy dose irrespective of the administered regime. Dose is the product of intensity and the duration of exposure and thus the time required to deliver a certain dose is influenced by the intensity of the source and whether the exposure is continuous or fractionated (Fig. 1). This law has been given the name of R. Bunsen and H. E. Roscoe who by their classic work in the 19th century opened a new field of research entitled by them "photochemistry". (Fig. 2). For photochemical reactions it can be assumed that this law is valid only , at least within a certain dose range which has to be individually defined for each reaction (Fig. 32). However, responses of cells and tissues to electromagnetic radiation usually involve a sequence of interacting biological reactions making a linear dose-time relationship less likely. Additionally, photosensitizing molecules might induce different cellular and molecular responses than does radiation alone. In photomedicine knowledge of the validity and the limits of the BRL is crucial for the understanding of the pathophysiology of photodamage and of the mechanisms of phototherapy. To date only few data on the role of the BRL in photomedicine are available. In this review we summarize the pertinent literature with regard to the effects of dose-time relationship in experimental and clinical photodermatology. In order to examine the influence of psoralen plus UVA (PUVA) on hemolysis, Potapenko irradiated erythrocyte suspensions to which psoralen solutions had been added and varied both dose and intensity of monochromatic 366 nm radiation. Results showed that PUVA-induced hemolysis at low UVA intensity (20 W/m²) was proportional to the square of the dose. At a high intensity (150W/m²), however, the correlation between UVA-dose and erythrocyte lysis showed a dose-threshold and was found to be S-shaped. The rate of complete hemolysis decreased at higher doses, but was many-fold higher than the rate of low-intensity PUVA hemolysis at equal doses. (1) Subsequently the same group investigated the effect of 366 nm radiation on the yield of psoralen photooxidation products (POP) in psoralen aqueous solutions. After irradiation at constant doses with different intensities, respective psoralen solutions were either incubated with human erythrocytes or injected into sensitized mice to test their ability of inducing hemolysis or of inhibiting delayed type hypersensitivity (DTH) responses. It was found that immunosuppressive POP were more efficiently formed at lower intensities (20.8 W/m² vs. 150 W/m²), whereas POP hemolysins were produced with higher efficacy at higher intensities (180 W/m² vs. 26 W/m²). (2) These experiments demonstrate the limits of the BRL, even in a rather simple photochemical reaction. These limits might be due to both, the photochemistry of psoralen photooxidation itself and the biological read-out system (i.e. hemolysis, immunosuppression) selected by the authors. Dzidic et al irradiated Escherichia coli with UVC at a total dose of 100 J/m² administered in either a single exposure or in equal fractions separated by 20 minutes intervals of incubation and determined cell survival and mutagenesis. After fractionated irradiation a higher rate of survival was observed compared to acute irradiation. Interestingly, a larger number of fractions (and a concomitant decrease of dose per fraction) was needed to induce a comparable effect when bacteria were cultured in phosphate buffer compared to cultures with nutrient media. Fractionation had no effect on the number of UV-induced mutations in cells cultured in nutrient media. In contrast, in starving cells the frequency of mutations was reduced with increasing numbers of fractions. These results were explained by the reduced synthesis of repair enzymes in starving cells (3) and provide an example where failure of reciprocity depends on the physiological state (thriving vs. starving) of the irradiated organism. Work from the authors´ laboratory recently addressed the question of dose-fractionation on eukaryotic cells. UVA and UVB from a metal halide source were delivered either as a single dose or as four equal fractions to a keratinocyte derived cell line (A431). Cell death was used as an endpoint in this study and determined by FACS analysis of annexin V binding and propidium iodide uptake. UVA-induced cell death was increased by about 100% upon fractionated exposure compared to a single dose. In contrast, no influence of dose fractionation on cell death was observed with UVB (Figure 43). (4) This result indicates that wavelength and spectral distribution of a source is an addition variable influencing the effects of dose-time distribution on living matter. Forbes et al irradiated hairless mice with constant weekly doses of broadband UV (250-400nm). The weekly doses were either delivered in one single session or split into 3 and 5 equal portions given on 3 and 5 days, respectively. The endpoint of the study was formation of skin tumors. Interestingly, the most fractionated pattern of irradiation was the most tumorigenic. (5) This suggests that at equal doses fractionation with daily irradiation increases carcinogenic potential of UV as compared to intermittent high dose exposure. These results are in accordance with findings from DeGruijl and associates who noted that the total dose delivered in a mouse model for the induction of skin tumors had to be higher if a high daily dose of UV-R (FS40 sunlamps, 280-360nm, peak at 312nm) was used in comparison to lower daily doses. (6) A similar result was obtained by Willis and Menter who exposed hairless mice to filtered solar-simulating radiation (290-400nm) in order to investigate the dependence of carcinogenesis on spectral distribution and dose-regimen. (7) Taken together, these studies consistently demonstrate that time-dose reciprocity is absent for UV-carcinogenesis in mice as at equal cumulative doses intermittent high dose exposure has been found to be less carcinogenic. Although the same might be true for the formation of non-melanoma skin cancer in humans, the situation for melanoma formation appears to be different. Epidemiologic studies point to the fact that intermittent exposure of body sites that are usually shielded from sunlight is the main environmental melanoma risk factor. A pathophysiological model based on the relative inability of melanocytes to undergo apoptosis in response to high doses of UV has been proposed recently as an explanation for this finding. (8) According to this model melanocytes would be able to repair small to moderate amounts of UV-induced DNA damage but will acquire potentially carcinogenic mutations if their repair capacity is overwhelmed by high dose exposure. Although it is likely that dose fractionation and intensitiy of the source influence clinical efficacy and long term safety of other phototherapeutic modalities (including UVB, narrow band UVB, UVA and UVA1), respective data are not available to date. According to the evidence described above the BRL does not apply in UV-carcinogenesis and multiple variables such as wavelength, pattern of exposure, target tissue, and other host responses such as UV-induced immunosuppression determine the tumorigenic effect of UV on the skin. The latter was investigated by DeFabo and Kripke  (16) who determined the susceptibility of mice to subcutaneously transplanted fibrosarcomas (induced by long-term irradiation with unfiltered FS40 sunlamps) after exposure to different regimes of UV radiation (250-400nm, peak at 313nm) at doses of 7.2 and 115.2kJ/cm² . Radiation patterns consisted of applications of constant total doses with different numbers of treatments and different duration. The authors found the susceptibility to tumor challenge to be directly proportional to the totally applied dose. When a dose of 86.4kJ/cm² was delivered either in one single exposure or in a fractionated manner, the continuous 12h UV exposure was as effective as the fractionated delivery which would point to the validity of the BRL for UV-induced inhibition of tumor-rejection. However, further information, particularly with regard to delayed type hypersensitivity and cutaneous sensitization are lacking. With the availability of laser sources and their potential to focus high radiation intensities of visible and infrared radiation to small spot sizes research concentrated on their biological effects and on possible applications in biology and medicine. Moreover, the possibility of pulsing the emitted radiation allows for the delivery of high energies for variable time-periods, thus inducing such different responses as vaporization and athermic modulation of cell metabolism. Horwitz (17) investigated the validity of the Bunsen-Roscoe law in a fungus model. He irradiated colonies of the common soil fungus Trichoderma harzainum with single pulses of a neodymium laser (wavelength 355 nm), UVA (peak 350nm), and blue light (peak 455 nm) varying either pulse duration (nanoseconds to minutes) or intensity. No differences in the rate of sporulation were observed for either light source. Lubart and colleagues (18) investigated the effect of low light intensities on mammalian cells. They found that the induction of fibroblast proliferation at a constant dose depends on the applied intensity in a non-linear manner. Moreover, they demonstrated distinct combinations of dose and intensity at which the induction of cell proliferation was maximal in a wavelength-dependent manner. Applying monochromatic light at 540 nm from a tunable Xenon lamp fibroblast proliferation was maximally inducible at a dose of 4 J/cm² and an intensity of 15 mW/cm², whereas exposure to light in the 600-900 nm region delivered by the same source triggered proliferation best at 24 J/cm² and 330 mW/cm². A possible explanation for the partial non-validity of the BRL might be found in the different amounts of reactive oxygen species (ROS) induced by different intensities of visible and IR (laser) light and the repair mechanisms of the specific cell type or organism. [20,22](19,21) This hypothesis is backed by a study from our group in which induction of ROS upon irradiation with low intensities of visible light was clearly demonstrated in Escherichia coli. (22) According to findings by Friedmann and co-workers (23) low doses of light intensify the formation of a transmembrane electrochemical proton gradient in mitochondria upon absorption of mitochondrial chromophores such as cytochromes which is followed by calcium release from mitochondria into the cytoplasm by a calcium/hydrogen antiport system and subsequently triggers mitosis and cell proliferation. At higher doses, however, too much calcium is released which causes hyperactivity of Ca2+-ATPase calcium pumps and exhausts the ATP pool of the cell, thereby inhibiting cell metabolism. Summarizing these data, it seems that certain biological responses to low doses of visible and near infrared light are maximally induced by wavelength-specific "ideal" combinations of intensity and dose. It must be assumed that for these reactions the reciprocity rule is valid only in a very restricted dose range. Knowledge of these limits may be a prerequisite for the successful therapeutic application of these light sources. Interestingly, the few in vivo studies which are available to date do not demonstrate a strong influence of light intensity on in vivo effects, i.e. wound healing and mast cell degranulation. Al Watban (24) investigated the validity of the reciprocity rule in the process of low intensity laser-mediated wound healing in rats and found that with intensities between 3.7 and 15.9 mW/cm² delivered by 632.8 nm helium neon laser no significant difference in the healing time were noted although a clear dose-dependence was found. Similar results were obtained by Trelles who found a significant reduction in mast cell count and histamine content in rat tongue tissue upon irradiation with a HeNe laser. Applying a constant dose of 2.4 J/cm² with two lasers of different power output, the respective intensities were 4 and 15 mW/cm². Again, no significant difference between these two intensities was detected. This survey of the available literature on dose-time relationships in photobiology strengthen the view that the Bunsen-Roscoe law seems to be restricted to rather narrow limits for most photobiological reactions. With this knowledge it is surprising that the available information on the influence of radiation intensity is poor and that in most experimental and clinical studies variations in radiation intensity are not included in the experimental setup (or simpler: are not studied). In photomedicine where endpoints such as therapeutic efficacy, carcinogenesis, immunosuppression and photoaging are of major importance, validity and failure of the BRL are either completely unknown or subject of speculation based on experience from animal models and comparison of historical data. Beyond phototherapy, investigations into the molecular events underlying the differential effects of equal doses and varying intensities are necessary for a comprehensive understanding of the way living matter responds to electromagnetic radiation. In this regard to date most information comes from basic research into the effects of low level radiation and it can be expected that these data will influence phototherapy. Systematic exploration in carefully designed studies may thus result in optimized phototherapeutic regimens with an improved therapeutic index, i.e. a maximized therapeutic benefit with minimized adverse reactions. The authors wish to thank Professor Frederick Urbach for his kind assistance and proof-reading of the manuscript. 1. Bunsen R, Roscoe HE, Photochemische Untersuchungen, Poggendorff´s Annalen 1855: 96: 373-394, 1857: 100: 43-88 and 481-516, 1857: 101: 235-263, 1859: 108: 193-273. 21. Potapenko AY, Agamalieva MA, Nagiev AI, Lysenko EP, Bezdetnaya LN, Sukhorukov VL, Photochemolysis sensitzed by psoralen: reciprocity law is not fulfilled. Photochem Photobiol 1991: 54: 375-379. 32. Kyagova AA, Zhuravel NN, Malakhov MV, Lysenko EP, Adam W, Saha-Möller CR, Potapenko AY, Suppression of delayed-type hypersensitivity and hemolysis induced by previously photooxidized psoralen: effect of fluence rate and psoralen concentration. Photochem Photobiol 1997: 65: 694-700. 43. Dzidic S, Salaj-Smic E, Trgovcevic Z, The relationship between survival and mutagenesis in Escherichia coli after fractionated ultraviolet irradiation. Mutat Res 1986: 173: 89-91. 65. Forbes PD, Blum HF, Davies RE, Photocarcinogenesis in hairless mice: dose-response and the influence of dose-delivery. Photochem Photobiol 1981: 34: 361-365. 76. de Gruijl FR, Van der Meer JB, Van der Leun JC, Dose-time dependency of tumor formation by chronic UV exposure. Photochem Photobiol 1983: 37: 53-62. 87. Willis I, Menter JM, Effect of varying dose of UV radiation on mammilian skin: simulation of decreasing stratospheric ozone. J Invest Dermatol 1983: 80: 416-419. 98. Gilchrest BA, Eller MS, Geller AC, Yaar M, The pathogenesis of melanoma induced by ultraviolet radiation. N Engl J Med 1999: 340: 1341-1348. 910. Stern RS, Lunder EJ, Risk of squamous cell carcinoma and methoxsalen (psoralen) and UV-A radiation (PUVA). A meta-analysis. Arch Dermatol 1998: 134: 1582-1585. 110. Lunder EJ, Stern RS, Merkel-cell carcinomas in patients treated with methoxsalen and ultraviolet A radiation. N Engl J Med 1998: 339: 1247-1248. 121. Stern RS, Liebman EJ, Vakeva L, Oral psoralen and ultraviolet-A light (PUVA) treatment of psoriasis and persistent risk of ninmelanoma skin cancer. PUVA follow-up study. J Natl Cancer Inst 1998: 90: 1278-1284. 132. Stern RS, Nichols KT, Vakeva LH, Malignant melanoma in patients treated for psoriasis with methoxsalen (psoralen) and ultraviolet A radiation (PUVA). The PUVA follow-up study. N Engl J Med 1997: 336: 1041-1045. 143. Gibbs NK, Hönigsmann H, Young AR, PUVA treatment stratagies and cancer risk. Lancet 1986: 18: 150-151. 154. Fitzpatrick TB. UV-A, PUVA, Photochemotherapy. In: Longworth JW, Jagger J, Shropshire W, eds.Photobiology. New York: Praeger, 1985: 161-168. 165. Gibbs NK, Young AR, Magnus IA, Failure of UVR dose reciprocity for skin tumorigenesis in hairless mice treated with 8-methoxypsoralen. Photochem Photobiol 1985: 42: 39-42. 176. DeFabo EC, Kripke ML, Dose-response characteristics of immunologic unresponsiveness to UV-induced tumors produced by UV irradiation of mice. Photochem Photobiol 1979: 30: 385-390. 187. Horwitz BA, Perlman A, Gressler J, Induction of Trichoderma sporulation by nanosecond laser pulses: evidence against cryptochrome cycling. Photochem Photobiol 1990: 51: 99-104. 198. Lubart R, Friedmann H, Peled I, Grossmann N, Light effect on fibroblast proliferation. Laser Therapy 1993: 5: 55-57. 2019. van Breugel HHF, Bär PRD, Power density and exposure time of He-Ne laser irradiation are more important than total energy dose in photo-biomodulation of human fibroblasts in vitro. Lasers Surg Med 1992: 12: 528-537. 210. Karu T. Photobiology of low-power laser effects. Health Phys 1989: 56: 691-704. 221. Breitbart H, Levinshal T, Cohen N, Friedmann H, Lubart R, Changes in calcium transport in mammalian sperm mitochondria and plasma membrane irradiated at 633 nm (HeNe laser). J Photochem Photobiol B 1996: 34: 117-121. 232. Polo L, Presti F, Schindl A, Schindl L, Bertoloni G, Jori G, Role of ground and excited singlet state oxygen in the red light induced stimulation of Escherichia coli cell growth. Biochem Biophys Res Com 1999: 257: 753-758. 243. Friedmann H, Lubart R, Laulicht I, Rochkind S, A possible explanation of laser-induced stimulation and damage of cell cultures. J Photochem Photobiol B 1991: 11: 87-91. 254. Al-Watban FAH, Zhang Z, Dosimetry-related wound healing response in the rat model following helium neon laser LLLT. Laser Therapy 1994: 6: 119-124. 265. Maier H, Neumann R, Treatment of strawberry marks with flashlamp-pumped dye laser in infancy. Lancet 1996: 347: 131-132. 276. Ghali L, Dyson M. The direct effect of light therapy on endothelial cell proliferation in vitro. In: Steiner R, Weisz P, Langer R, eds.Angiogenesis: Key priniciples-Science-Technology-Medicine. Basel: Birkhäuser, 1992: 411-414. 287. Schindl A, Schindl L, v.Baehr R, et al. Influence of low power laser irradiation on the neovascularization in the model of Arthus phenomenon induced in the rabbit cornea: A controlled study. In: Waidelich W, Staehler G, Waidelich R, eds.Laser in Medicine. Berlin: Springer Verlag, 1995: 447-481. 298. Schindl A, Schindl M, Schindl L, Jurecka W, Hönigsmann H, Breier F, Increased dermal neovascularization after low intensity laser therapy of a chronic radiation ulcer determined by a video measuring system. J Am Acad Dermatol 1999: 40: 481-484. 3029. Forbes FD, Davies RE, Urbach F, Aging, Environmental Influences, and Photocarcinogenesis. J Invest Dermat 1979: 73: 131-134. 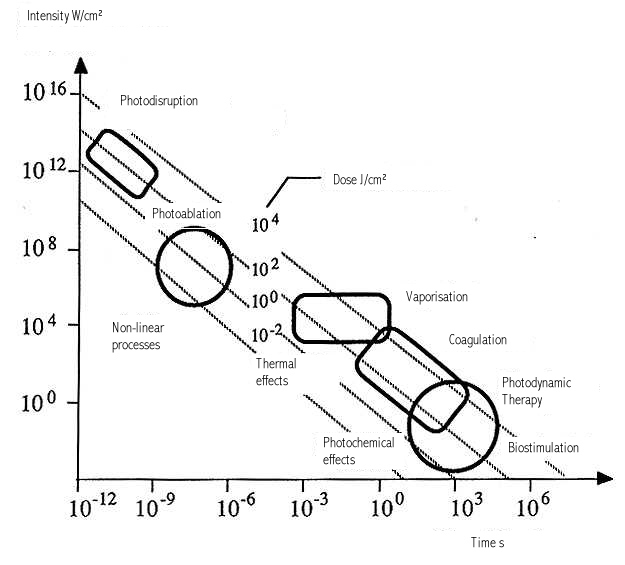 Figure 2: Title pages of reprint of original papers by R. Bunsen and H.
Figure 32: The figure demonstrates the dependence of a hypothetical photochemical reaction from the radiation intensity at a given constant dose. It can be assumed that there exist treshold levels beyond which the intensity is either too low (A) or the exposure time is too short (B) to initiate the reaction. Between (A) and (B) the Bunsen-Roscoe law would be valid. Figure 43: Cells (A431) were exposed to increasing doses of UVA (upper chart) and UVB (lower chart), respectively, either continuously or as four equal fractions interrupted by intervals of 15 minutes. Cell death was determined by FACS analysis. Figure 54: Dependence of radiation-induced biological effects on exposure time, dose, and intensity. Note that equal doses may induce such different effects as biostimulation and photoablation. Adapted from Berlien et al.